Diddy learned to sail on Lake Champlain and is proud to call it her home waters. 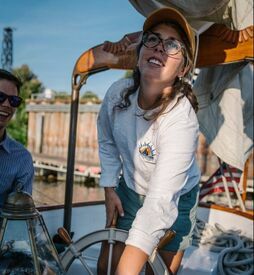 She purchased Whistling Man Schooner Co. in 2018 with the goal of sharing the joy of sailing and historic charm of the lake with the Burlington community and its visitors. She feels privileged to be at the helm of such beautiful and historic vessels and to be supported by an incredible crew. In the winter months, Diddy enjoys the satisfaction of boat maintenance and brightwork, but also finds plenty of time to travel, ski, and play in a volleyball league. Mathias has been sailing his whole life, through European waters and up-and-down the Atlantic. 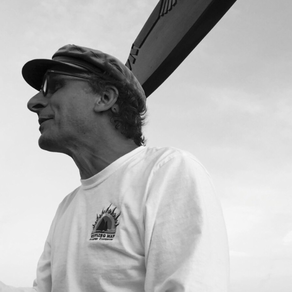 He's sailed everything from dinghies and windsurfers to the grand windjammers of Maine. He undertook a fantastical three-year voyage during which he sailed from the waters of Lake Champlain across the Atlantic and all over the Mediterranean. He's been living in Vermont for almost 40 years and loves to call Lake Champlain home. ​As the son of US Navy parents, Bill grew up around some of the major ports of the US and Europe. His passion for all things nautical developed as he followed his dad on all kinds of seagoing vessels. Bill worked his way through college aboard a New Orleans tug boat, and has captained a number of vessels up and down the East coast, and once across the Atlantic. Since then, Bill has dropped anchor in Burlington, which he considers to be one of the most beautiful and historic places in the world. ​Mike grew up sailing on Lake Champlain: his favorite spot to be. A longtime presence at the waterfront, Mike has worked with many local businesses and lake-based organizations. During the warmer months he's sailing, working and repairing boats, admiring the Lake, and thinking of ways we can preserve and protect it's beauty and resource. When not on the lake, he's driving ambulances and working as an EMT on local ambulance squads. Soon, Mike will graduate from paramedic training and pair his Captain's license and EMT certification into a year-round profession. Tom had his first sailing experience at the age of four and has been hooked on it ever since. He has called Vermont home since moving here from Alaska in 1979. Tom has sailed extensively on the east coast from Maine to the BVI, but always loves coming home to his beloved Lake Champlain. In addition to sharing the lake with Whistling Man guests, Tom runs his own consulting firm, drives the Island Line Bike Ferry, and participates in storytelling events around town. ​Kirsten grew up nestled in the woods of the Northeast Kingdom of Vermont. In 2010, she moved to the Burlington area and was so taken by the community and land here that she decided to stay. Her interest in sailing developed in 2012 after hearing stories of a friend’s experience sailing dhows off the coast of Kenya. 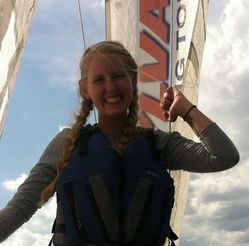 Kristen signed up for the next possible sailing class and began learning on Lake Champlain. And in 2017, she joined our crew! 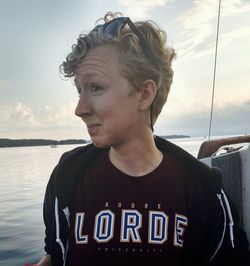 As much as she enjoys traveling and exploring new places, she loves Vermont and sailing Lake Champlain while sharing it with others aboard the Friend Ship. Hannah has spent every summer since she was seven on sailboats. She learned how to sail at a sailing center in Boston Harbor and later became a sailing instructor there. She moved to Burlington and joined the Friend Ship crew in 2018 and is extremely excited for the season. During the fall and winter seasons she enjoys hiking and snowboarding and exploring everything that Vermont has to offer. Cory’s introduction to the Vermont tourism industry came about from growing up in a ski town; his first job was as a snowboard instructor at Sugarbush Resort. After high school, he moved to Southern Vermont to study at the Vermont Technical College. Last year, Cory transferred to UVM where he will earn a degree in Mechanical Engineering. Cory loves the ski mountains, but something about sailing on Lake Champlain really struck a chord in him. He hopes to share his enthusiasm of Vermont’s maritime history with Vermonters and tourists alike, while ensuring Friend Ship maintains her high standards of operation.